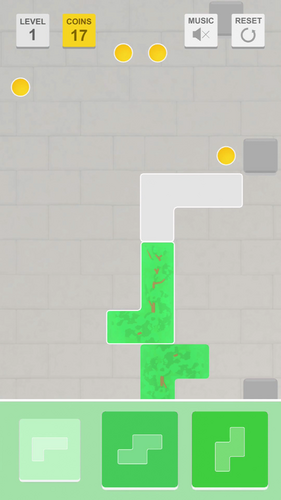 Vinecraft is a puzzle game where you play as a plant. The objective is to get to the top of the wall by dragging and dropping geometric pieces to grow the plant around obstacles. Work through 100 levels of increasing difficulty to unlock "Hard Mode" for additional levels with an added twist. 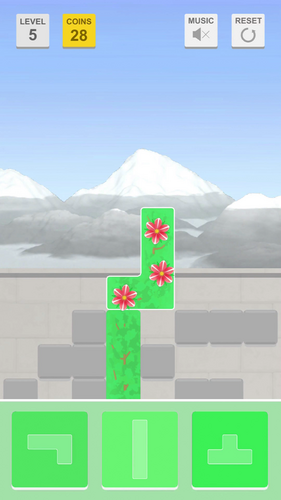 Challenge your puzzle skills with this unique take on the familiar tetromino set. 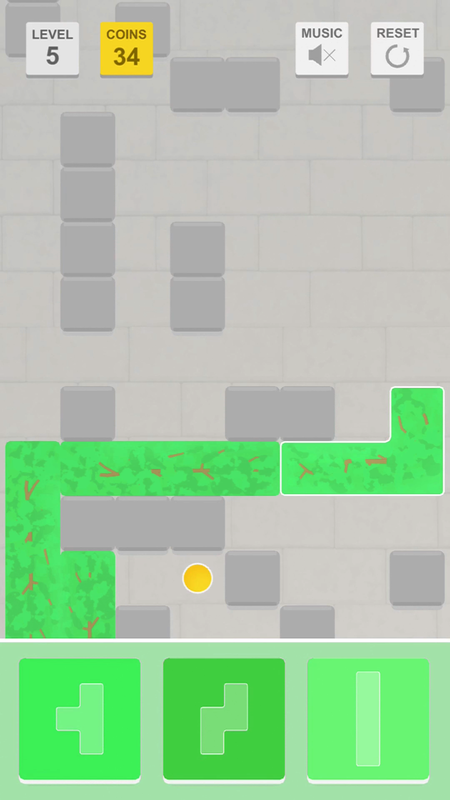 Vinecraft both relaxes and engages your brain as you work your way through the levels, and Hard Mode will challenge your ability to predict and plan even more as you climb to the top of the level. Vinecraft is a casual puzzle experience with no time limit and no enemies. Simply climb to the top in any way you can. 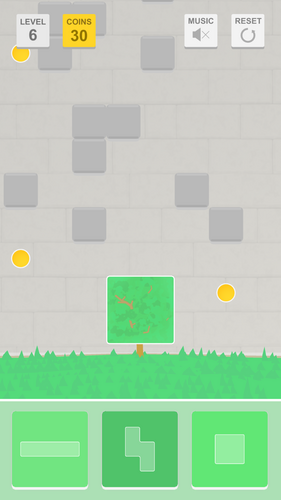 Each time you place a piece it costs one coin, you earn more coins by collecting pickups and by completing levels. Grow your plant to the top of the wall and it will blossom, as well as giving you a peek at the world beyond the walls. Complete 100 levels to see what comes next.